Do you want to save time on the newsletter consultation process and endless meetings? If that’s the case, you will love the teamwork function with Newsletter2Go. Email marketing generates an impressive 3800% ROI. Therefore, your newsletters are probably managed by a team… or will soon turn into team projects that will accommodate a lot of people, such as managers, marketers, and designers. Everybody works together to create the right content and the best design. Sometimes it might be a smooth process, but most of the time team workflow is interrupted with the consultation process and meetings as it’s unlikely that the whole team could review the newsletter at once. Our teamwork function increases efficiency by giving your team the ability to work on the campaign at once. Create newsletters in the team by commenting on email development simultaneously. How does the collaborative newsletter creation function work? A team member creates the newsletter with text and graphics. A draft is then sent to colleagues and your management team in the form of a test email. They receive a link to view a web version of the newsletter draft in their browser. Then the individual blocks can be clicked on. Giving feedback will be key in this stage. On the right side of the screen fields appear in which comments and suggestions for improvements can be added. The creator of the newsletter receives an email about every comment that is added and can write back with any questions in the comment column. 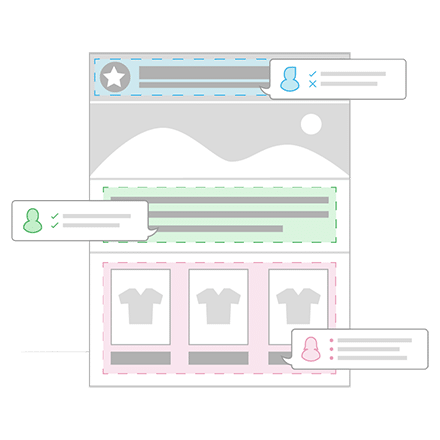 This means that you can work together on your email campaign with ease and improve your workflow. If all involved are satisfied with the result, then the manager or management team can approve and enable the newsletter dispatch. The creator receives the approval by email and can send the newsletter. If you’re an agency, learn more about our agency solutions. Moreover, you can create new roles as well as allocate rights, for example set up special accounts for designers, admins and copywriters. Here you can learn more about the user management feature. With our create newsletters in the team function, you can get more done in a shorter time frame. Try it out by registering now for free. Click here to learn more about our newsletter tool as well as our newsletter program.